a place that you have to visit if you're a korean addict! What’s the secret behind Kim Soo Hyun’s gorgeous skin? 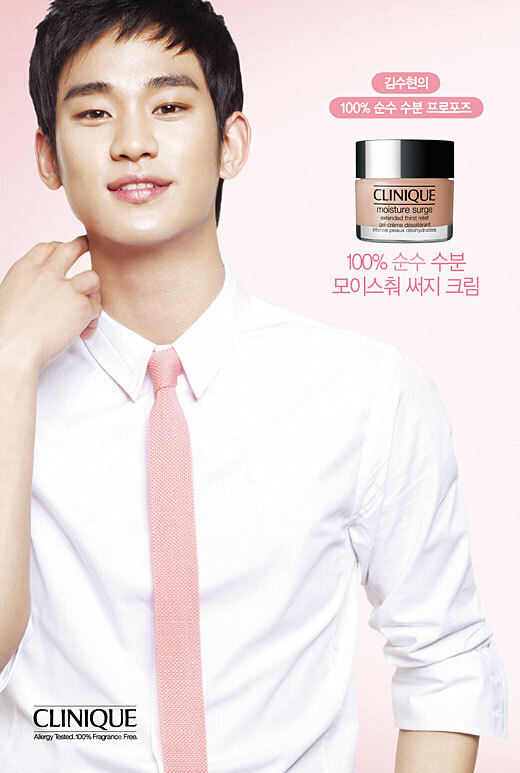 It turns out that the “Dream High” star was obsessed with Clinique’s moisturizing cream. During filming, he used this cream to keep his skin looking fresh and supple for the camera. Since the set was always so cold, moisturizing dry skin was critical for the cast. seller. Even though he’s a guy, he was chosen to be a model for the product because his image goes well with it. The actor’s ties to Clinique were strengthened by his participation in their charity efforts. The props he used on the set of “Dream High” will be auctioned off through Clinique’s Twitter during April, and the proceeds will go towards UNICEF. Kwanghee attempts to… kiss Dongjun? WGM Victoria-Nichkun “Khuntoria” Couple Ep.37! WGM Victoria-Nichkun “Khuntoria” Couple Ep.36! WGM Victoria-Nichkun “Khuntoria” Couple Ep.35!